Wixom New Roof | Wixom Roof Tear-Off | Wixom Roof Installation | Wixom New Roof Estimate | Wixom Roofing EstimateMcGlinch & Sons CO.
McGlinch & Sons have had the privilege of serving Detroit and Southern Michigan since 1917 as a reliable new roof provider. We are a dependable roof company with over 90 years of experience and skill. If you need a new roof estimate to replace storm damage or strong winds damage, call our skilled team. We are licensed and insured for all your exterior construction projects which include roof tear-off, new roof, and new roof installation. McGlinch is a trusted name among Wixom area residents. We offer the experience necessary to give you a new roof done right. Get a FREE roofing estimate today by contacting our team of trained specialists you can rely on. McGlinch are the experienced experts who can help you with a roof-tear off, new roof or roof installation. Wixom, Michigan is located northwest of Detroit in Oakland County with a population of 13,498 residences. Wixom is home to Trijicon, Discraft and Ultimate manufacturing companies. Anytime Wixom residents need a new roof they make us their first and only call. Many Wixom customers recommend McGlinch for several reasons one is that we always put the customer first and second we offer a reasonable roofing estimate. Get a knowledgeable team for your roof installation. 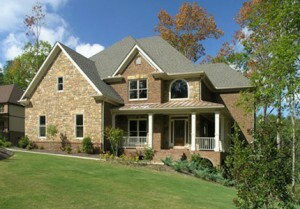 McGlinch is the new roof provider that is dedicated to 100% customer satisfaction. We take every measure to give you a stress-free roof tear-off or roof installation. If you want a new roof estimate call our dedicated team today. McGlinch & Sons will provide you with a reasonable new roof estimate and an impressive new roof. Let our four generations of knowledge and experience benefit you. We are the exterior home improvement company who offers the quality new roof, roof tear-off or roof installation you deserve. Get your FREE Estimate on a roof tear-off or new roof in the Wixom area by calling (313) 278-2777.